Winners have been announced for the 2018 Olivier Awards, honoring the best in West End theater. 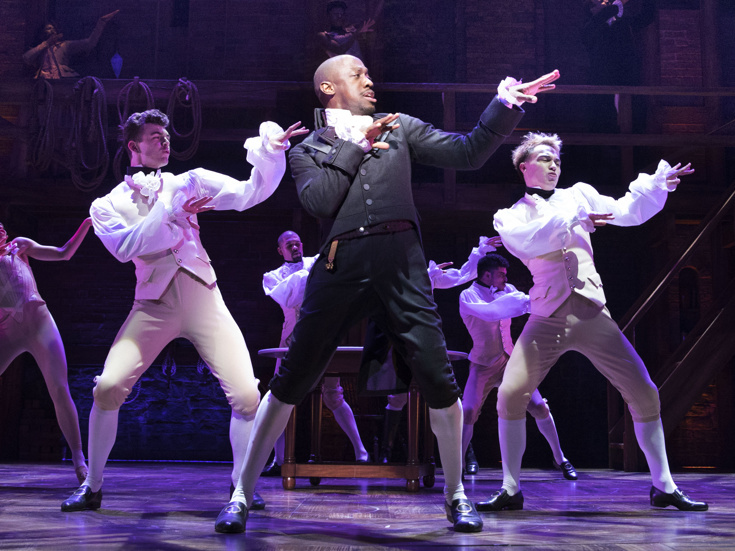 Hamilton won seven awards including Best New Musical, a win for lead Giles Terera as Aaron Burr and Lin-Manuel Miranda for his score. The National Theatre revival of Tony Kushner's Angels in America, which is now playing on Broadway, won for Best Revival and best supporting actress for Denise Gough. Jez Butterworth's The Ferryman, which will arrive on Broadway in the fall, triumphed as Best New Play. The starry ceremony took place on April 8 at London's Royal Albert Hall, with Catherine Tate as the evening's host. The full list of winners can be found below in bold.